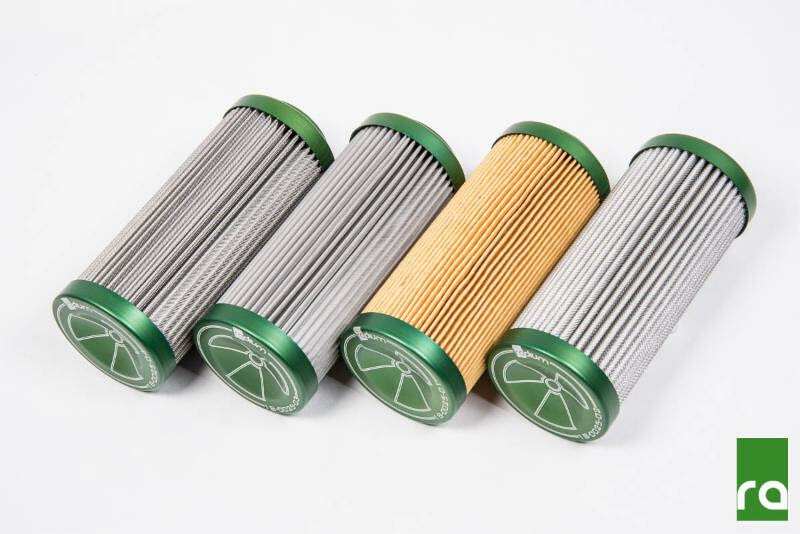 Radium Engineering has released a high-performance Universal Fuel Filter Kit that is designed to work with gasoline, Diesel, E85, ethanol and methanol fuels. The housing diameter is the same size as the popular Bosch 044 fuel pump and a large 4.2″ x 1.75″ filter element maximizes flow without sacrificing filtration. Multiple mounting solutions are available including a Heat Exchanger mounting clamp for cooling fuel in high horsepower applications. Radium's filter design allows for flexibility when selecting element material, allowing it to be used in any part of the fuel system. Choose from cellulose fiber, micro fiberglass, fine stainless steel cloth and coarse stainless steel cloth to accommodate your fuel type and filtration needs. *Alcohol fuels may reduce service life if poor quality fuel or excessive water absorption is present. Use of high quality fuel is recommended and alcohol fuels should be purged from the system when the vehicle is stored for long periods of time. The intense fuel demands of high horsepower engines can cause excessive fuel pump heat, which increases the temperature of the fuel. Radium's innovative Heat Exchanger mounting clamp uses the conductive nature of aluminum to transfer the fuel's thermal energy to the vehicle chassis and effectively cool the fuel. 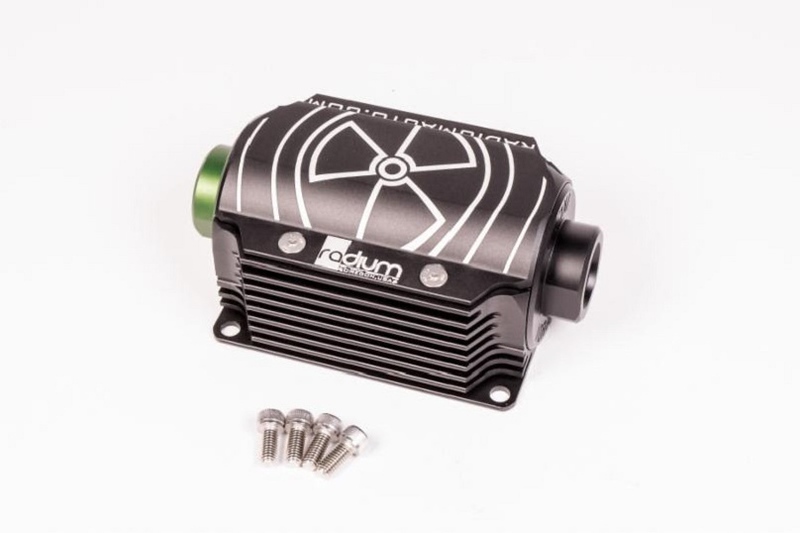 The 6063 aluminum extrusion is bright-dip anodized black and laser engraved, and directly clamps to the fuel filter body using two countersink stainless-steel screws. 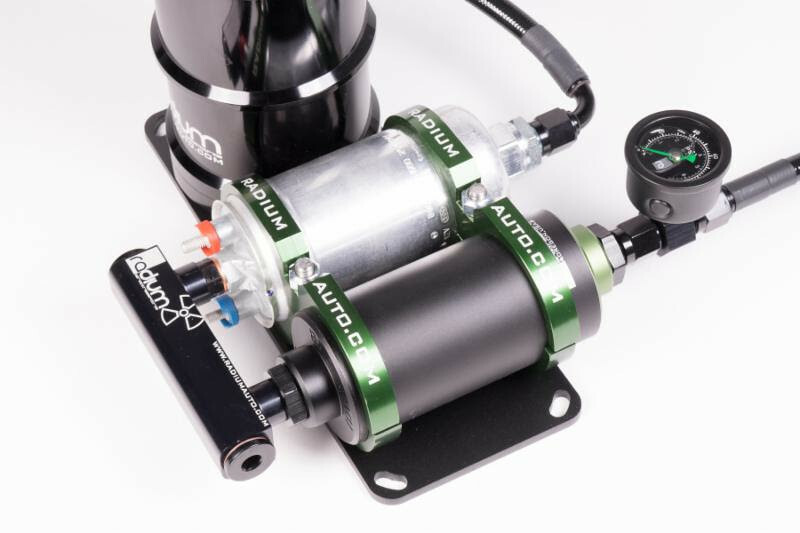 Radium offers two standard clamp designs for its Universal Fuel Filter Kit; A single, billet, CNC-engraved 60mm clamp, and a dual, billet, laser-engraved 60mm clamp for mounting two fuel filters or a fuel filter and Bosch 044 fuel pump. Both clamps mount to the fuel filter body for improving thermal efficiency, include stainless-steel mounting hardware and are bright-dip anodized for durability and lasting good looks. For more information, email info@radiumauto.com or visit the company's dealer finder at www.radiumauto.com. Radium Engineering is located in Clackamas, Oregon. The company designs and manufactures innovative universal performance solutions including fuel surge tanks, catch cans and fuel pressure regulators, and application specific performance solutions ranging from fuel delivery to turbo systems. Radium-End Fuel Starvation.